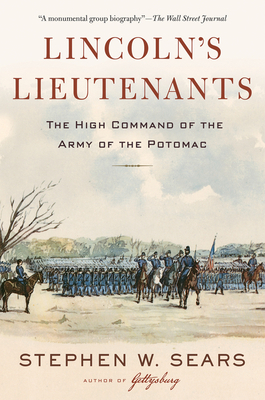 The high command of the Army of the Potomac was a changeable, often dysfunctional band of brothers, going through the fires of war under seven commanding generals in three years, until Grant came east in 1864. The men in charge all too frequently appeared to be fighting against the administration in Washington instead of for it, increasingly cast as political pawns facing down a vindictive congressional Committee on the Conduct of the War. President Lincoln oversaw, argued with, and finally tamed his unruly team of lieutenants as the eastern army was stabilized by an unsung supporting cast of corps, division, and brigade generals. With characteristic style and insight, Stephen Sears brings these courageous, determined officers, who rose through the ranks and led from the front, to life and legend.